The multi-million dollar painting “Lucifer” by Jackson Pollock had hung above the bed of a young girl for years until the Anderson Family recently donated their entire collection to the Stanford Arts Department. Opened last September, this admission-free gallery is a must-see for all connoisseurs of art. As perhaps the most diverse private collection in the world, the artworks range from Pop Art to Abstract Expressionism. Sam Francis’s “The Beaubourg” greets viewers on the first floor of the concrete building. I was struck by this painting the first time I visited the Anderson collection, and the second time was just as marvelous. Despite the chaos of the acrylic paint, there is a sense of order as delineated by the white background and clear-cut geometric shapes. Chaotic constructions of color are again explored through the work of female abstract expressionist Joan Mitchell, whose “Before, Again II” indicates some sort of explanation or depiction of time. I have yet to arrive at a conclusion about the intended purpose of this painting, but perhaps there is some beauty in the process of deciphering. 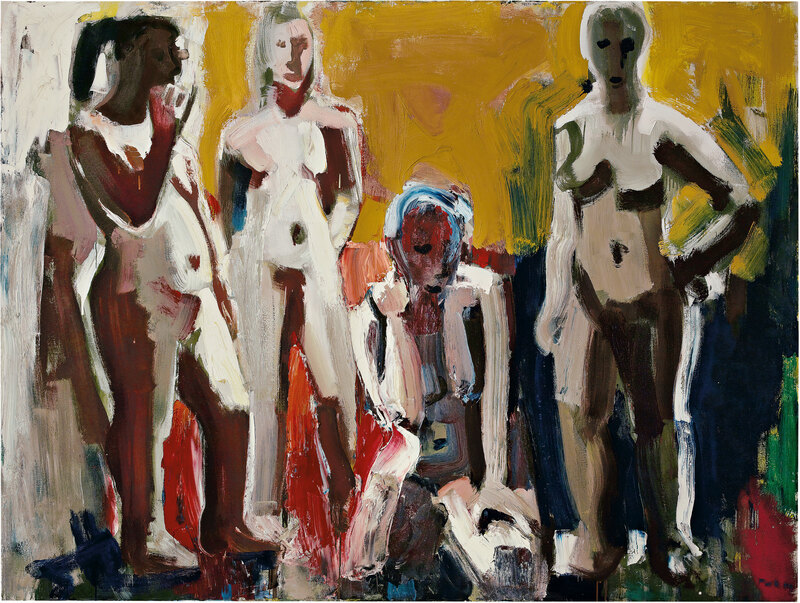 I was eerily reminded of Picasso’s “Les Demoiselles’s D’Avignon” when I saw David Park’s “Four Women.” As a part of the Bay Area Figurative Art movement, Park intensely studied the human form, rejecting idealism by glorifying the crude aspects of the female figure through harsh brushstrokes and visible applications of paint. In this painting, the coarse brutalization of the four women is dramatized by the extreme shadowing and contrasting of light on the figures, accentuating certain features while deconstructing others. In no discernible environment, the individuals simultaneously stand distinct from their surroundings while also sinking into the background. Seeing Pollock’s “Lucifer” in the flesh was simply breathtaking. His work is better understood within the context of his creative process as shown below. 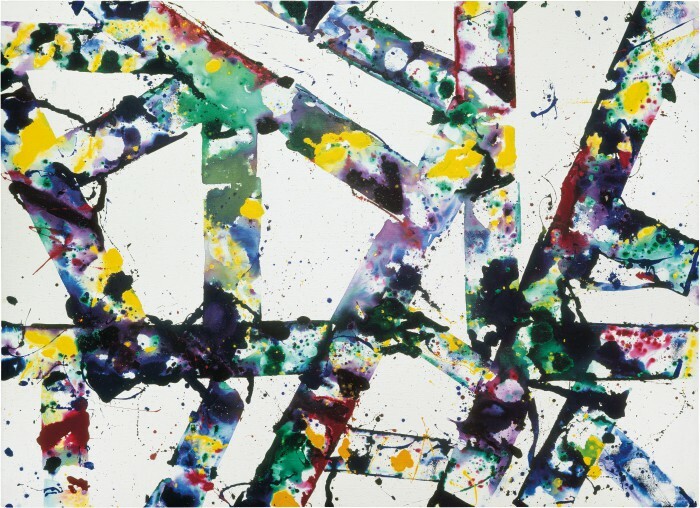 Challenging conventional techniques of painting, Pollock took the drip painting technique to an entirely new level through his use of syringes and sticks for paint application. The sense of turbulence really comes alive in Pollock’s iconic painting “Lucifer”—worth more than 50 million dollars, it is poised as the prized possession of the Anderson Collection and Stanford Arts Center. This work in particular is famous for being part of the New York School, an offshoot of the Abstract Expressionism movement that drew inspiration from modernism in the late 20th century. Layers of paint grapple with each other, ultimately forming a complex piece with unimaginable depth that reflects the inner workings of Pollock’s own unconscious mind. Just as the New York School integrated poets' experimentation with the Stream of Consciousness, Pollock extended his method of drip painting by transforming the canvas into an instantaneous mirror— each brushstroke reflecting an intrinsic urge or motivation. Unlike most painters, Pollock makes no grandiose statement about human nature or life on Earth. Rather, he focuses on the immediate moment of existence, which is why this 1947 painting stands the test of time. 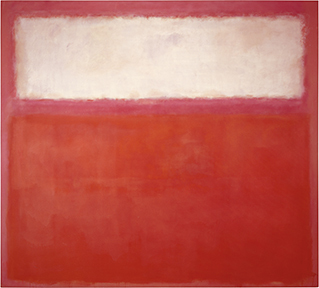 In a daring juxtaposition, the museum places Rothko’s “Pink and White over Red.” The layers of pink and white form a sort of window over the deep red hue, as if the viewer is simultaneously witnessing three different spatial complexes. 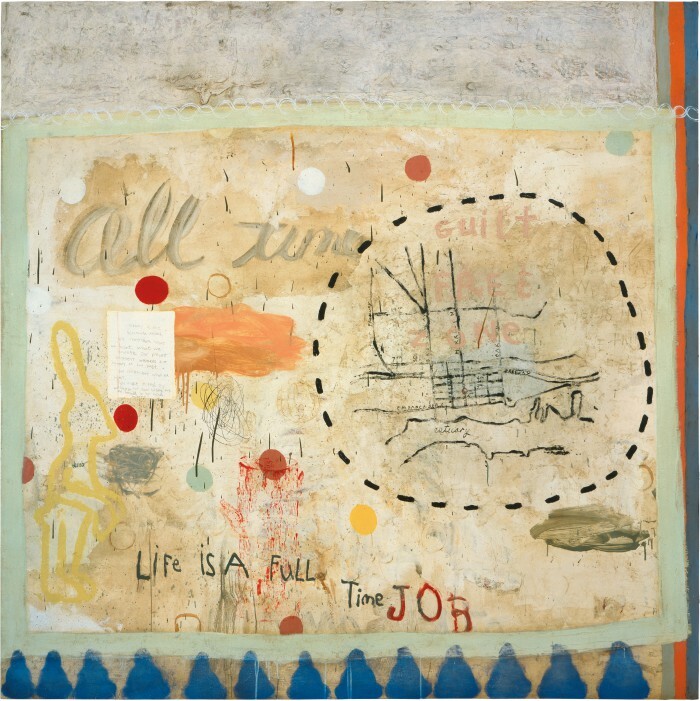 Squeak Carnwath’s “Full Time” is one of the highlights of the contemporary art section of the museum. We see various phrases, such as “guilt free zone” and “life is a full time job.” Although the medium is oil paint, there is a collage-esque feel to this piece—quite a jump both from the intense colorations of Rothko and Pollock in terms of aesthetics and content. 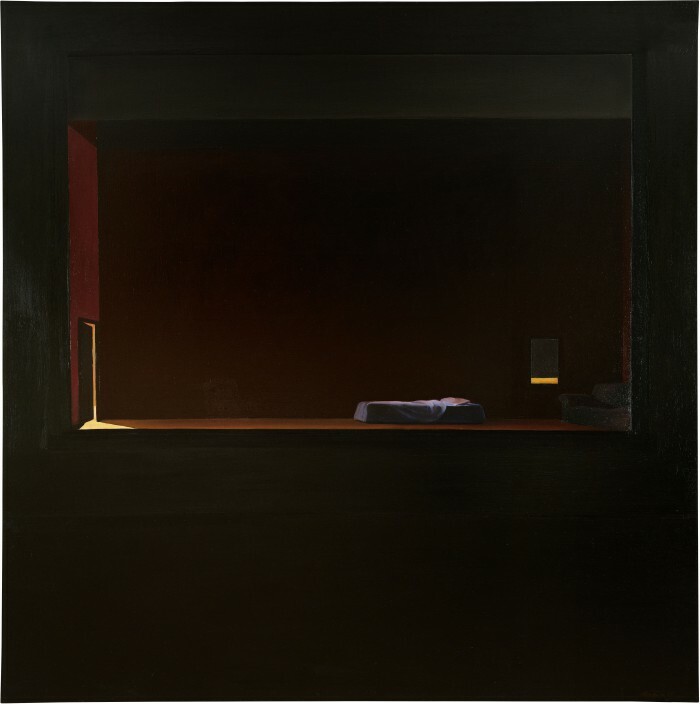 By far, my favorite painting out of the entire Anderson collection is Nathan Oliviera’s “Stage #2 with Bed.” Flirting with the idea of multiple realities, the viewer becomes an active participant in the art. We, the observers, are engulfed in the darkness with the rest of the audience, witnessing the empty stage marked by loneliness and an absence of light. Perhaps Oliviera intended the work to be a universal metaphor for existence: we all trapped in a stage-like environment, simultaneously performing and viewing the mysterious world through a dark lens. Growing up in the Silicon Valley, I am aware of the general consensus that art serves merely for entertainment. Our time is supposedly better spent pursuing a discipline that is more “practical” or “realistic.” However, I stand firm in the belief that there is a beneficial beauty in the art of discovery and contemplation. Observing a work of art and forming independent conclusions requires taking a risk, ultimately delving into a state of mind where not everything is known. While the artists themselves perhaps intended one specific meaning in their work, the meaning of the art itself is not stagnant. We constantly interpret and reinterpret, sharing our individual observations and perceptions shaped by our own personal lives with our companions. As in Oliviera’s painting, where the viewer is engulfed by an eternal, absolute nothingness, we too become involved in the process of the art. If nothing else but to escape the monotony of your daily routines, visit the Anderson Collection at Stanford. Stare at a work of art; let the confusion overwhelm your essence; and finally, find your own sense of meaning in the chaotic clash of paint on canvas.